IRL Swine Flu sounds like just a nighttime-sniffling-sneezing inconvenience when you read that it's been going around Azeroth since the Lich King beta, and pops you for 120 natural damage every two seconds. Escapist points out that Swine Flu, a spell cast by undead hogs, isn't some sneaky-snarky add-on to capitalize on the latest public health fad. It's been a part of World of Warcraft for nearly a year. 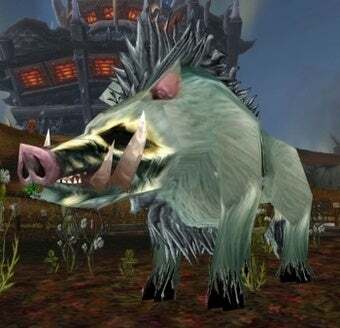 The carriers of this nasty bug are the Unliving Swine, which sound like a punk band but are found up in the Borean Tundra of Northrend. Melee attacks on these pigs carry an 8 percent risk of infection - which if it takes, drops movement speed by 30 percent and hits with 120 natural damage every two seconds. So, since actually hitting a pig is required to trigger it, the risk of outbreak in pandemic-prone Warcraft is much lower compared to real life, where Wolf Blitzer reminds us that shaking someone's hand will kill you dead on the spot.